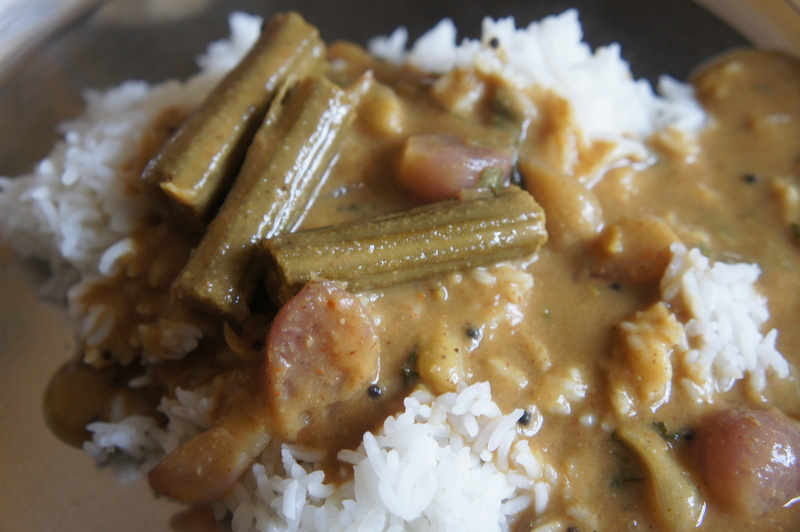 arachutai sambhar | Life's Conundrum - Eat to Live or Live to Eat? One of the dishes that is synonymous with South Indian cooking is sambhar, a thick dahl and vegetable based gravy dish normally eaten with rice and often served as an accompaniment with idlis & dosais (rice & urad dhal batter steamed dumplings and pancakes). 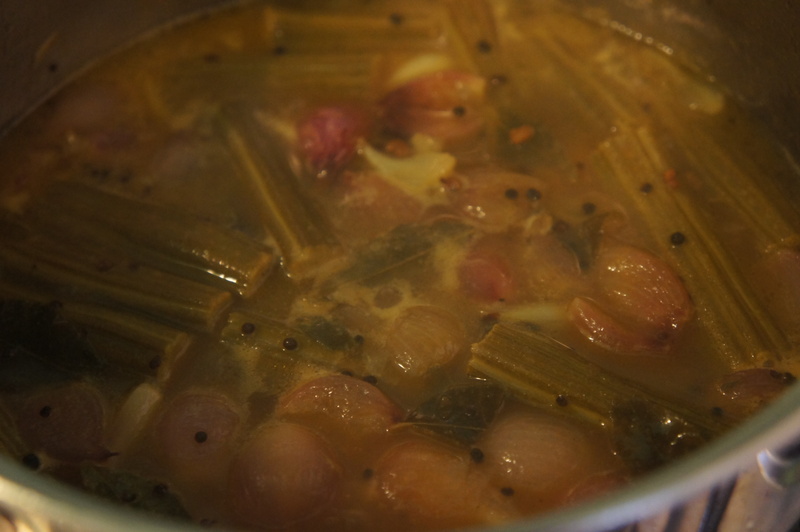 The key to any good sambhar is the spice powder which varies from household to household and we sometimes feel the recipes are guarded secrets passed on by word of mouth from one generation to the next. One can find sambhar powder in most Asian grocery store which is a suitable substitute (our family recipe can be shared for a small fee :-)). Heat a tablespoon of oil over medium heat and roast the coriander seeds, channa dahl and dried red chillies for a few minutes till the seeds change colour. 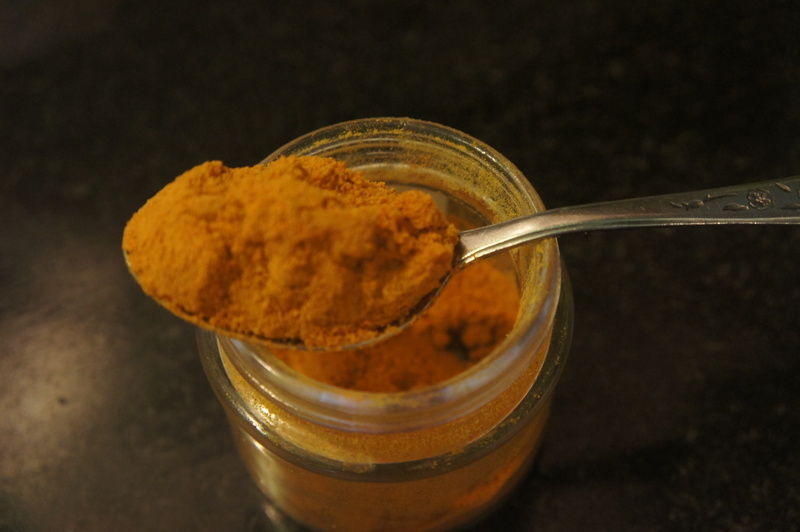 Once cooled, grind to a paste with fresh coconut and a pinch of asafoetida – use a little water. Keep this aside. In a separate pan, heat 2 tablespoons of coconut oil followed by the mustard seeds. 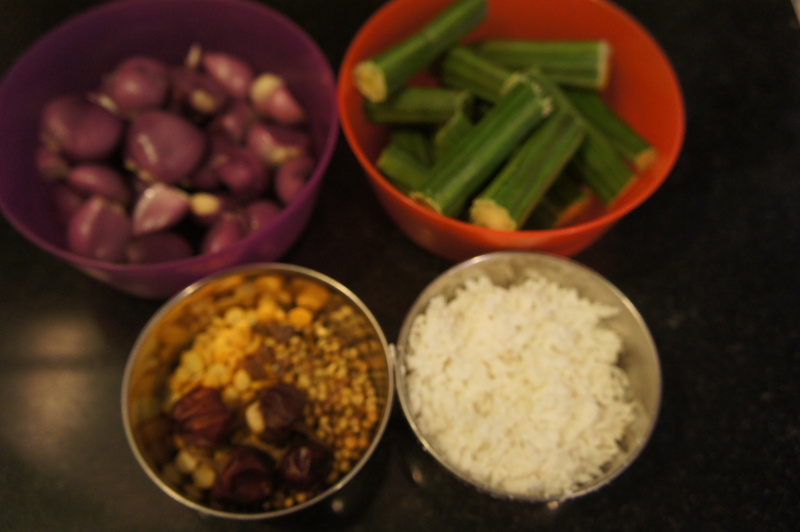 Once the seeds start to splutter add the curry leaves and vegetables. Saute over medium heat for a couple of minutes and then add the extract of tamarind water, sambhar powder and a bit of salt. Pour in 500 ml of water and cook over medium heat till the raw smell of the powder disappears and the vegetables are cooked. 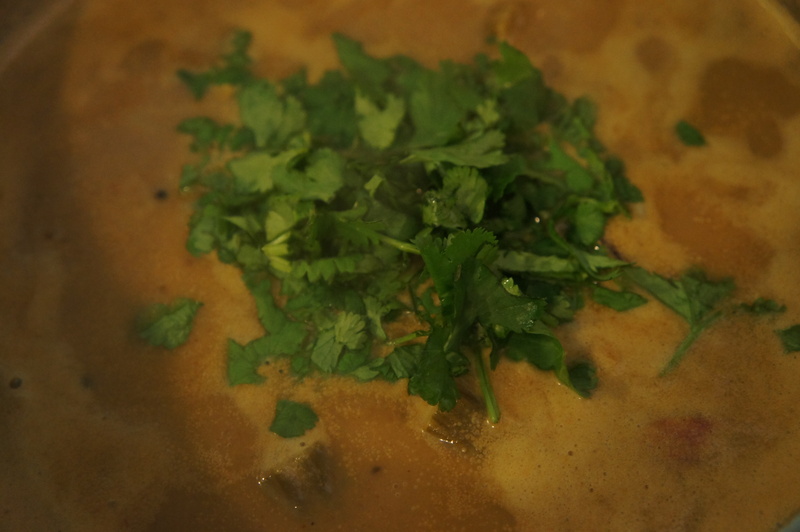 Add the cooked dahl and paste and simmer for 5-10 minutes. Adjust the seasoning, garnish with fresh coriander and switch off heat. 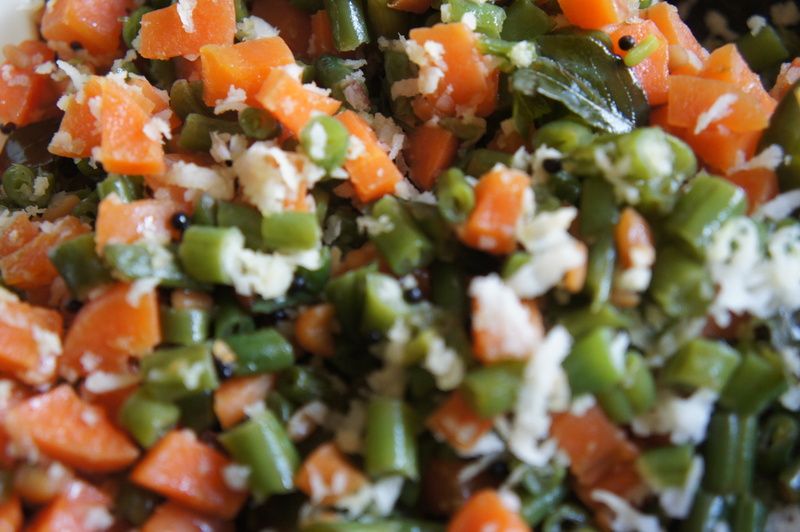 Serve hot with plain boiled rice.